Early childhood educators take into consideration contextual factors when designing and implementing quality curriculum for the Kindergarten year. The size and diversity of Western Australia means that educators tailor programs to meet the diverse needs of children and families with whom they work. 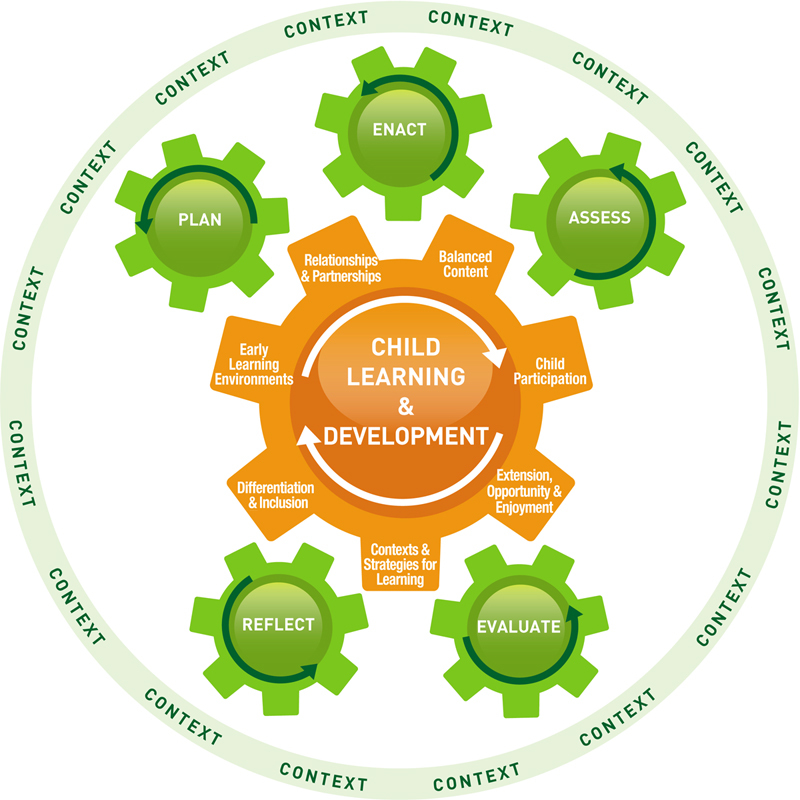 The EYLF defines curriculum as 'all interactions, experiences, activities, routines and events, planned and unplanned, that occur in an environment designed to foster children's learning and development' (Commonwealth of Australia, 2009, p. 45). Early childhood educators strive to provide relevant learning opportunities for children that take into account diverse family, cultural, linguistic, school and community influences. They know that children draw on a wide range of knowledge, experiences, interests, and skills that impact on the way they learn. Educators also may work within a school where school policies, priorities and interagency collaboration can influence decisions they make. Plan and organise for learning and teaching - daily, short and long term plans. Educators strive to provide relevant learning opportunities that take into account the experiences, interests and capabilities of individuals and groups of children. Enact, interact and respond thoughtfully using a number of strategies to engage children in learning experiences. Educators provide feedback to strengthen learning. 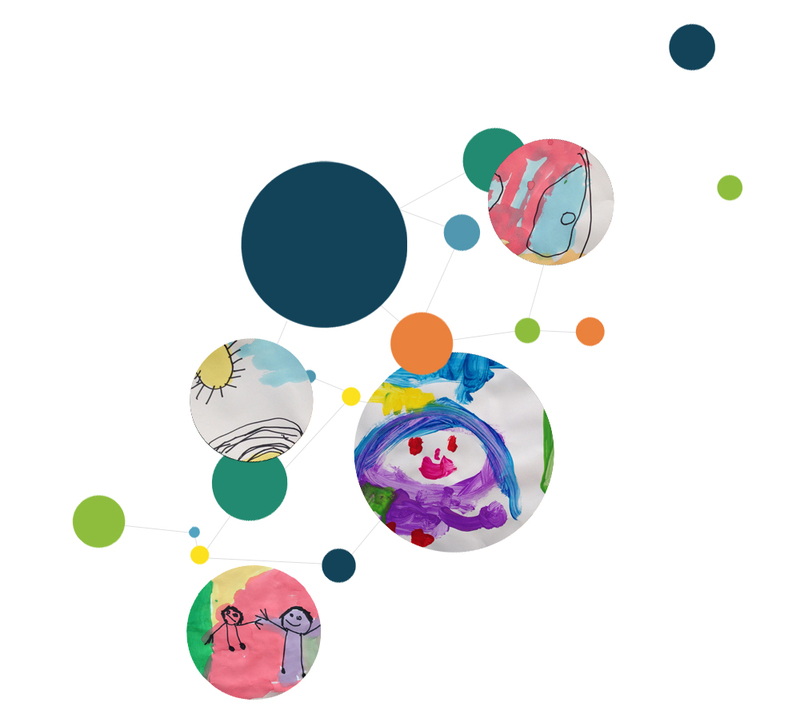 Monitor, assess and document children's learning and participation in a variety of ways in diverse contexts over time. Analyse and evaluate to inform ongoing planning and share information with parents and colleagues. Reflect on learning and practice to further professional growth. Interact with colleagues and identify areas for further professional learning that will improve curriculum processes and practices. Differentiated curriculum ensures curriculum is based on sound knowledge of each individual child, and that experiences and interactions are engaging, relevant and respectful of each child's background, current interests and abilities. When working with children with additional needs, educators target capabilities and work closely with families and support personnel to differentiate learning opportunities that foster equity and fairness for all children and their families. Educators plan and establish positive, vibrant and challenging intellectual, social and emotional and physical environments that promote a sense of wonder, curiosity and imagination and support risk-taking within a safe and inclusive context. The environment supports multi-modal learning with concrete materials. The temporal environment has a sense of predictability and allows for flexibility to cater for children's different learning requirements. Relationships are key to all educational endeavours. Partnerships involve children, families, communities, educators and other professionals working collaboratively to provide optimal learning opportunities for active engagement and participation. Educators purposefully engage partners in children's learning, by providing a variety of opportunities for others to contribute to children's learning. The quality of interactions, and the thoughtful implementation of balanced content in experiences, assists children in attaining knowledge, skills, attitudes and dispositions that are a base for future learning. Children's knowledge is constructed by the integration of concepts that are obtained from a variety of related and repeated experiences. Skills are developed and refined through frequent opportunities to use them in different contexts. Attitudes and dispositions are developed through thoughtful and responsive curriculum where children are encouraged to discuss ideas and reflect on experiences and situations. Educators plan a variety of contexts, strategies and multi-modal experiences to engage children and to foster their participation and learning. These include, but are not limited to, play, small group and some whole group interactions, intentional teaching, inquiry, real life experiences, transitions and routines. As play is a primary medium for children's learning, educators plan how they will structure, use and support play experiences. Educators use transitions and routines as learning opportunities and to support children's increasing independence. An effective early childhood curriculum supports active participation of children, and views children as decision-makers who promote their sense of agency. Experiences are presented in ways that children can make choices and use different processes to complete where more than one solution is possible. The environment is constructed to encourage and allow children to be as independent as possible. 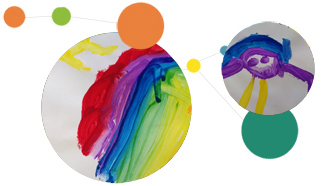 Early childhood educators maximise children's learning by making knowledgeable decisions about teaching and learning in five learning and development areas related to the outcomes identified in the EYLF. While children's interests are a focus of curriculum planning, it is the role of the educator to expand these interests with rich ideas and new opportunities. Actively engaging learners, arousing their curiosity and responding to capabilities will make children more likely to be motivated, curious and feel supported in the learning process. Educators are active participants in children's learning and play, and encourage children to explore, support shared sustained thinking and assist children to achieve outcomes. The curriculum extends children's knowledge, understanding and enjoyment. The following figure illustrates how dynamic, responsive and educational Kindergarten programs are developed when educators focus on each component when making curriculum decisions.